Srikalahasti Temple is a Hindu Pilgrimage of Lord Shiva and Goddess Parvathi. It is one of the renowned shrines of Lord Shiva worshipped as God of Vayu (air) amongst the Pancha Bhoota Sthalam in Southern India. 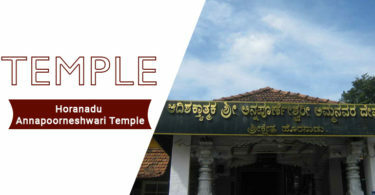 This temple is also popularly known as the Dakshin Kailash (Kailash of the South) or Rahu-Ketu Kshetr.Here, Lord Shiva is worshipped as Kalahasteeswara and Goddess Parvathi is worshipped as Gnanaprasunambika. Occasionally temples closes at 9:30 PM when devotees are in large numbers. This Srikalahasti temple is located in Srikalahasti town; a town named after the temple which is located in the Chittoor district in Andhra Pradesh, India. The temple has a serene sight with the mountains at its back and the river Swarnamukhi flowing gently in the front. Srikalahasti derived its name from the union of names of three devotees; Sri (Spider), Kala (Serpent) and Hasti (Elephant). According to the beliefs, the three devotees in unison represented the deep unshakable faith in Lord Shiva and the three attained liberation from the cycle of birth and death worshipping Lord Shiva by the Lord himself. Apart from the religious significance of this place, Srikalahasti temple exemplifies Dravidian architecture that unleashes the rich culture and astonishes the tourists with the phenomenal artistic carvings. The temple also has an archeological importance where the constructions are as ancient as the 5th Century and also some parts of the temple specifically the Outer temple was constructed by the 12th Century Chola kings and the Vijayanagara kings. The temple welcomes you with an epitome of the architectural marvel; a tower standing as tall as 36.5 meters (120 feet) called Galli Gopuram, that has an underground Ganapathi shrine called Pathala Ganapathi.Gnanaprasunambika Devi resides adjacent to the Galli Gopuram on to the left.Kalahasteeswara temple is guarded by hills; Durgambika hill from North, Kannappar hill from South and Kumaraswamy hill from East. Devotees visit this divine place in humongous numbers for seeking the blessings of Kalahasteeswara. The faith of millions of devotees in this sacred place is strengthened with the fulfillment of their wishes by praying and performing Poojas that eliminate the ill effects of Rahu-Ketu from their planetary charts. Interesting fact to know about Srikalahasti Temple is that; this is the only temple that is open during Grahanam (Solar and Lunar Eclipses) and even the priests of the temple never touch the Shiva lingam with their hands. 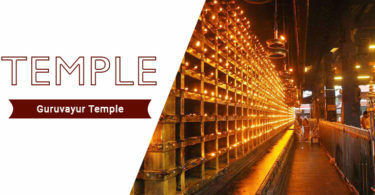 There are two main categories of Darshanam (Entry) to the temple. One is the Free Darshanam; as the name suggests is non-chargeable. The other being the Special Darshanam; an entry fee of ₹ 200/- makes you eligible for a Special and fast Entry. Note: The Fees may vary subject to the prevailing Government Rules, if any. Unlimited tickets are available on the counter for the Current Booking. Make sure you carry one Government approved Identity card during the Visit. All the Poojas are performed inside the temple. All Pooja material will be provided by the Temple. The Devotees will be given a souvenir from the temple and ladoo prasadam. • Advance bookings are not allowed; modes such as by telephone or online booking or money order are not available. • The Pooja can be booked only if you are physically present in the temple premises and the Pooja ticket must be used by the end of the day of booking. • If the Pooja is scheduled to be performed during the Rahukalam (for maximum effect), then you must be present for the Pooja at least an hour or two before the Start of the Rahukalam. Srikalahasti Temple is famous and renowned for performing Rahu Ketu Sarpadosha Nivarana Puja. Rahu Ketu Pooja is the popular ritual observed at Sri Kalahasti Temple. This is very effective pooja which is performed for the persons who are affected by Rahu Ketu doshas, Grahadoshas and for unmarried and childless persons. Rahu Kethu Sarpadosha Nivarana Pooja is conducted daily and in batches. Devotees can get the Srikalahasti Rahu Ketu Pooja Timings, Procedure for Rahu Ketu Pooja and Ticket Rates. 1. A day before rahu ketu pooja, the person performing pooja should sleep on floor but it is not Mandatory. 2) Next day devotee should reach early and perform abhishekam with Milk ( 1 liter) to the Idols at Rudra Padam ( which is 100 ft from Pathala Ganapathi Temple) and then do 3 Pradakshinam to the Idols. The Rudra Padam is the place where they used to perform Rahu Ketu Kala Sarpa Dosh pooja in olden days. 3) After performing Abhishekam, please perform Rahu Ketu Kala Sarpa Dosha Pooja. 4) After the rahu ketu pooja, please donate meal packets to the poor. • Pleasant weather starts from the month of October to March when the temperature ranges from 15°C – 30°C. This is the most preferred time to visit. • Months of March till May are hot and are not preferable. • Months of June till September are rainy and humid. This is the time when the hills and the river in the front looks picturesque. The nearest domestic airport is Tirupati Airport (TIR) – Renigunta; with flights from the major cities like Madurai, Chennai, Hyderabad and Bengaluru and an additional half an hour drive (30 Kms). Srikalahasti (KHT) has a railway station of its own; with trains from all the nearby major cities like Tirupati, Bengaluru and Chennai. Well Connected by Roads; you may choose a smooth drive or a travel by buses plying frequently by the state transportation (A.P.S.R.T.C) from nearby towns like Tirupati, Bengaluru and Chennai. Budget Rooms (AC/Non-AC) are easily available in the Hotels near the Temple with charges ranging from ₹ 750/- to ₹ 3186/- Average Price per night. Maha-Shivaratri: It occurs every year in the Tamil month of Maasi (from Feb 15 to March 15). The celebrations are marked by a huge number of devotees visiting the temple and the processions of the deities carried out on a large scale. Shivarathri Brahmotsavam: It is a 12 days festival is a yet another huge celebration amongst the Shiva devotees from various parts of the country. • TTD: It is devoted to Lord Balaji, world famous temple is just 37 KM from Srikalahasti and Tirupati Darshan booking is available online. • Sri Subrahmanya Swamy Temple: It is devoted to Lord Murugan, is located at the center of the Srikalahasti Town. • Prasanna Varadaraja Swamy Temple: It devoted to Lord Venkateswara Swamy, located near the Srikalahasti Temple. • Bharadwaja Tirtham: It is believed that this holy place was the meditation abode of Maharishi Bharadwaja during Krita Yuga. Lord Vinayaka is worshipped here. This place is enshrined at the east of Srikalahasti Temple, amidst the three crown hills. • Durgamma Temple: The broad elevated steps leads you to an ancient temple on the hilltop near the Srikalahasti Temple that is devoted to Goddess Durgambika. • Sahasra Linga Temple: An ancient shrine of 1000 Shiva Lingas enshrined within a single shrine. A lush green hill with a water fall flowing from the top adorns the temple which lies in the middle of the forest. It is about 8 kms away from Srikalahasti Town. • Thondamanadu Sri Venkateshwara Swamy Temple: Lord Venkateshwara along with, Sri Lakshmi devi and Padmavathi Ammavaru are worshipped here which is about 10 Kms away from the Srikalahasti Temple. • Gudimallam: An ancient Shiv Linga: believed to be the manifestation of Trimurti, with the Shiva on the top, Vishnu in the middle and Brahma at the bottom is enshrined in here which lies near the Renigunta Railway station and about 28kms away from Srikalahasti Town. • Brahma Temple: In this ancient temple, both Lord Brahma and Lord Shiva are worshipped. Q. Is there a cloak room facility at the Srikalahasti Temple ? Ans. Yes, there is a “Paid” cloak room facility available at the Kalahasti temple. Devotees can store Mobile phones, shoes etc. Q. Do we have bathing place inside Srikalahasti Temple ? Ans. Yes, there is Bathing place inside the temple. Enter through main gate and in the righthand side there is notice for bathing facility. Q. please tell me government bus timings before 11:00 AM from Chennai CMBT to Kalahasthi ? Ans. Government buses starts their service from as early as 4:15 AM from Chennai CMBT to Kalahasti and journey time is between 5 to 5:30 hours, There are private buses also available from Chennai CMBT. Q. Do I have to buy a ticket for my infant? ? Ans. No, tickets for infant and kids less than 12 years of age is Free. Q. When do the kalahasti pooja for rahu and kethu do we need to take bath in the temple? If we purchase Rs2500 ticket can my wife join the same pooja as me ? Ans. Kalahasti Pooja for Rahu and Ketu is performed by couple and preferably, devotees can take shower at their place of residence (Hotel/Lodge). Rahu-Ketu Pooja is performed by couple only and only difference of paying Rs 2,500 ticket is that pooja will be performed in front SahasraLingam. For Rs 250, you will be doing the pooja outside the temple in a separate hall. Q. Where staying is beneficial? Tirupati or tirumala for visiting all temples and sightseeing except main temple in tirumala? Ans. Generally Tirupati is better place to stay as all other temples are easily accessible from their. Q. How many people are allowed with 2500rs ticket? Brother will be doing Pooja and my parents are looking to accompany. Do they need additional tickets? Ans. Only couple (Husband and Wife) are allowed with Rs 2,500 ticket, Parents have to buy Rs 200 special darshan ticket and would be allowed to sit behind the couple during the pooja. Q. When are the timings for the rahu ketu pooja? Ans. Rahu Ketu pooja starts everyday at 6am & would be conducted in an interval of about 1hr till 4pm. Q. Can you please give me a contact no. of one of the kurukals for Rahu Kethu Pooja? Ans. As per i know it seems that there are only agents who take you to the kurukal. Kurukals dont seems to be liaising directly with the public for any Rahu Ketu Pooja & Sevas. If you have any query on Srikalahasti Temple or any pilgrimage places across India, please leave your comment below, we will get back to you at the earliest. There is no online Booking facility for Annaprasana in the Srikalahasti Temple. There is offline booking facility available for Annaprasana. On arrival you can purchase the tickets at temple counter itself. In case any query please let me know.